Ms. Dixon joined the Museum as its fifth director in April 2003. Photo: Don Stahl. 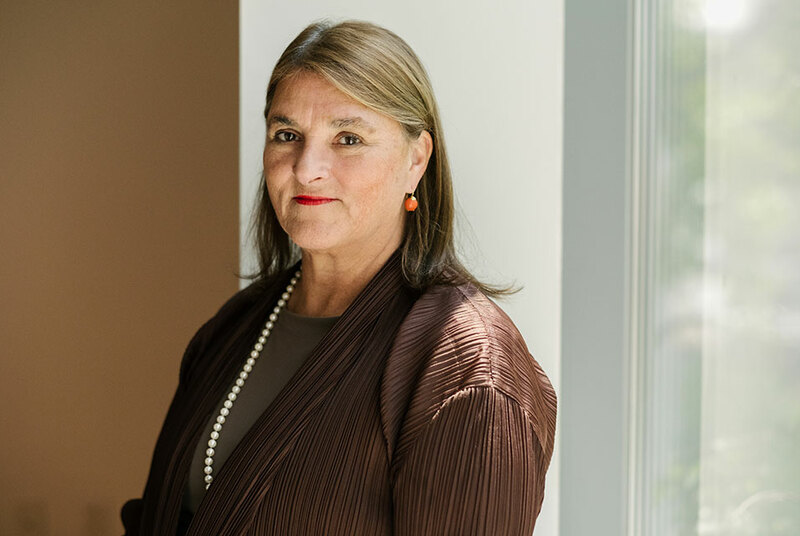 QUEENS, NY.- Jenny Dixon, longtime director of The Isamu Noguchi Foundation and Garden Museum, today announced that she will retire from the position at the end of this year. The Museums Board of Trustees is forming a search committee to determine who will lead the Museum moving forward. Ms. Dixon joined the Museum as its fifth director in April 2003. At the time, it operated under the aegis of the Isamu Noguchi Foundation, which had been established by the artist, and presented an ongoing exhibition of works by Noguchi, displayed as he had originally installed them. Early in her tenure, Ms. Dixon initiated a multi-year process that would transform the organization into an entity that encompassed a public museum, with a full roster of exhibitions and public programsall related to Noguchi, his work, and influenceand a foundation devoted to the preservation and study of Noguchis work and life, with resources made available to scholars and others. In the process of doing so, she also stabilized the Museums finances. Among Ms. Dixons most notable achievements while at the Museum was undertaking the complex process of obtaining a permanent museum charter from the State of New York, followed by a multi-year projectaccomplished, in part, with funding from and in collaboration with the City of New Yorkto renovate and stabilize the 27,000-square-foot museum building and its internationally celebrated sculpture garden. In so doing, Ms. Dixon ensured both that Noguchis original vision for the Museum was preserved, and that its growing audiences would be better served. In 2016, upon completion of the renovation, the Museum obtained accreditation from the Alliance of American Museums (AAM), at once affirming that the Museum meets AAMs National Standards and Best Practices, and capping the process through which it successfully navigated its transition from a private foundation to a professional museum. Ms. Dixons many achievements as director encompassed program as well as bricks-and-mortar. Early in her tenure, she initiated a regular schedule of special exhibitions, complementing the permanent installation with major shows that illuminate both the historic context in which Noguchi worked and the enduring influence of his art and design. These proved to be transformative, opening the Museum to new ideas and to the work of artists other than Noguchi. Several recent exhibitions have brought to the Museum the work not only of Noguchis contemporaries, but also of living artists and designers. At the same time, public programs have greatly expanded to include regularly scheduled talks by artists, scholars, and critics; hands-on workshops for all ages; performances; and more, while school programs now serve thousands of children and teens every year. Scholarship on Noguchi and his work is central to the Museum, and Ms. Dixon secured major funding to digitize the collection of the Museums photographs, manuscripts, drawings, study collection, and archival materials, vastly expanding access to these resources, while also overseeing the launch of a digital catalogue raisonné, bringing new scholarship to the field. Prior to joining The Noguchi Museum, Jenny Dixon was executive director of the Bronx Museum of the Arts (19992003), the Lower Manhattan Cultural Council (198697), and director of the Public Art Fund (197786), where she first met and worked with Isamu Noguchi on the artists first project to be installed on public land in New York City, a sculpture titled Unidentified Object that was sited in Central Parks Doris Freedman Plaza from December 13, 1979, through January 13, 1981, and is now in the collection of The Metropolitan Museum of Art, on view at the south end of the Museums plaza. In addition to her work at arts organizations, Ms. Dixon has participated in numerous national and international panels and symposia, taught at New York University, The Cooper Union, and Parsons School of Design, and served on various boards. She is currently a member of the Association of Art Museum Directors and ArtTable, where she is the Board of Directors Vice President for Governance.